The first hurdle when you would like to start the corporate gifting activities is what to give and for that answer let us understand each recipient’s profile in more details. Broadly we can classify the various target audience profile as consumers, customers, partners, influences, employees and associates. Once you get clarity on each profile then depending on their role and importance the budget can be created. The budget helps you in identifying the various product choices available within that price range to get the maximum mileage keeping you end objective and purpose in the mind. The correct definition of the consumer is the actual user or end consumer of your product or services. Since the lifetime value of a consumer is very high most of the brands are willing to invest high budget to influence and acquire new users. When you as a brand owner team is very confident about the offering of your product or services then to ensure more meaningful trials you offer attractive corporate gifts to encourage more consumers to try your new products. Your successful product must keep adding new consumers on a ongoing basis and for that beyond advertising you need to add various other touch points to woo the new consumers. The best and easiest answer is offer something they cannot refuse and in the process try your new product and hopefully you have acquired another new consumer. The difference between the consumer and customer is that while consumer is the end user the customer is the person who is buying the product on behalf of the consumer. In b2b setting the consumers are not visible to you and normally don’t interact with you directly. Your contact point is the customer who in turns influences the user to consider your offerings. Purchase, admin and HR managers are the correct examples for this profile. A brand can have bundling arrangement with another non competing brand for mutual benefit as they are not going to use the product themselves but bundle your product or services to increase joint awareness and thereby sales of their own products. A branded soap buying another branded pen is customer but not the consumer or end user. Partners can be defined as trade or channel partners who helps you in reaching your end objectives of increased sales and market share. Partners are intermediaries like c&f agents, distributors, stockists and retailers. The turnover of each stakeholder is different depending on their roles and accordingly you need to design the scheme or identify the gifts to achieve your end objective by motivating them. The end objective keeps changing with times either to increase the sales, market share or stocks in the pipeline to block the new product or competitors. Insurance agents, associates for booking loans and stock market services officially earns the commission, brokerage or services fee and the buyer is aware of this fact and they therefore fit into the profile of trade or channel partners. Influencer helps in influencing the various decision makers say in case of lubricants the influencer is mechanic. There can be multiple influencers for example masons are the first influencers for a cement manufacturing company. The engineers comes next as they are technically qualified to educate and influence. Architect comes next in the pipeline as they are handling the total designing of the projects. Project managers are the final decision makers in the chain of the influencers. When a decision goes through layers of influencers then the end outcome always favours the brand which has influenced most of the constituencies. You need to identify the role of each influencers depending on the buyer’s profile, your industry standing, competition in the market place and various other parameters related to the projects. Business gifts given to employees for carrying out their duties, for exciting younger generations and at festival time comes under the employees or staff gifting. Traditionally companies have given festival gifts to staff once or twice a year depending on the industry, margins and thought process of the management. Depending on the success in the market place and completion of years of service gifts are given to employees. IT companies due to their dependence on knowledge workers and extra demand for the new and experienced workers have come out with various gifts from time to time starting from induction to completion of each projects. The outsourced employees are also covered as they are employees for all practical purposes except that they are outsourced or on contracts and are not counted as full time employees. Business associates can be your well wisher, consultants, referral partners and friends. Depending on the occasions whether new year, anniversaries or festival time you can decide the gift. Normally buyers divide them into A, B and C categories so that various levels in one organization can be differentiated to justify the budget and identify the appropriate gift for each level depending on the seniority of the receivers. When the list is made of the probable recipients then all names which don’t figure in any of the other profile normally lands in this category. Even various government departments and their inspectors, officers and various other dignitaries normally find their place in this profile. During festival times and new year you love to give the corporate gifts and even visitors ask for the diaries, calendars and various other utility gifts. 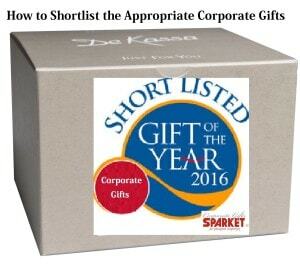 ← Corporate Gifts From A PIN TO A PLANE!